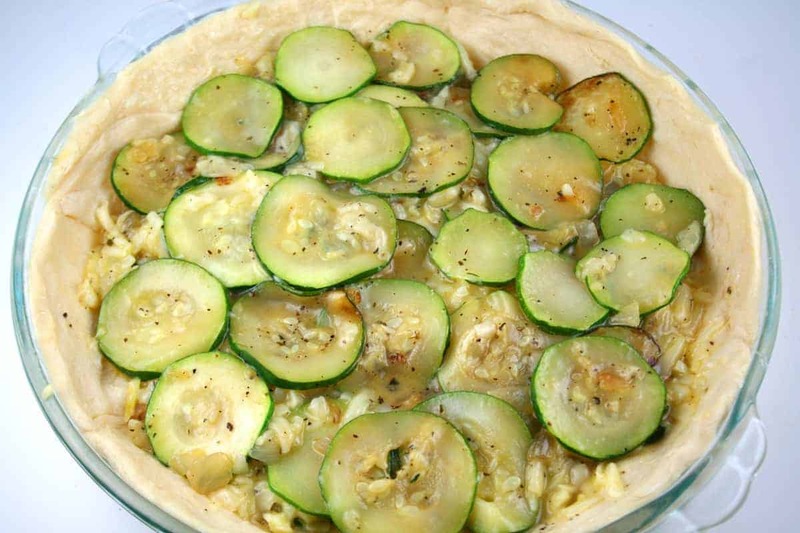 Italian Zucchini Crescent Pie won the 29th Pillsbury Bake-Off in 1980. Recipe on Pillsbury.com by Millicent (Caplan) Nathan of Boca Raton, FL. This is my favorite savory recipe from the Bake-Off so far. 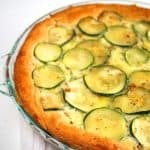 It’s sort of like a quiche but cheesier and packed with zucchini. 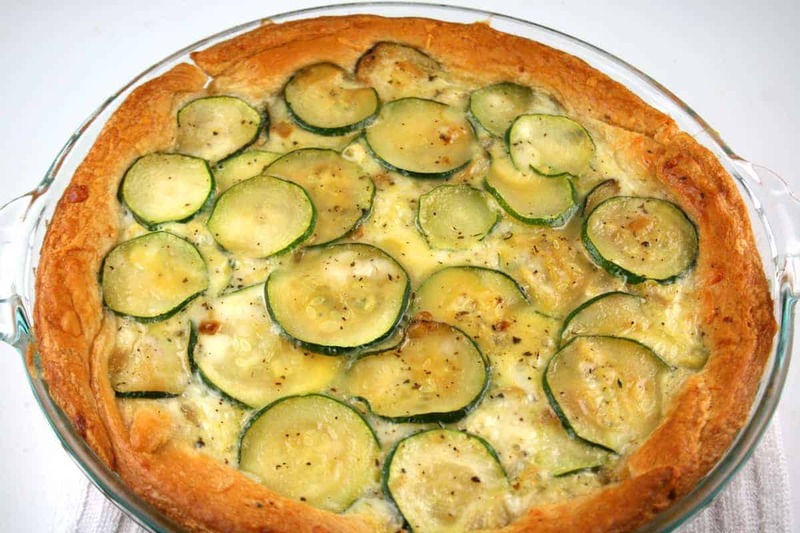 The garlic, parsley, basil and oregano seasonings give it an Italian flavor. All wrapped in a flaky, crescent roll crust. Just delicious. 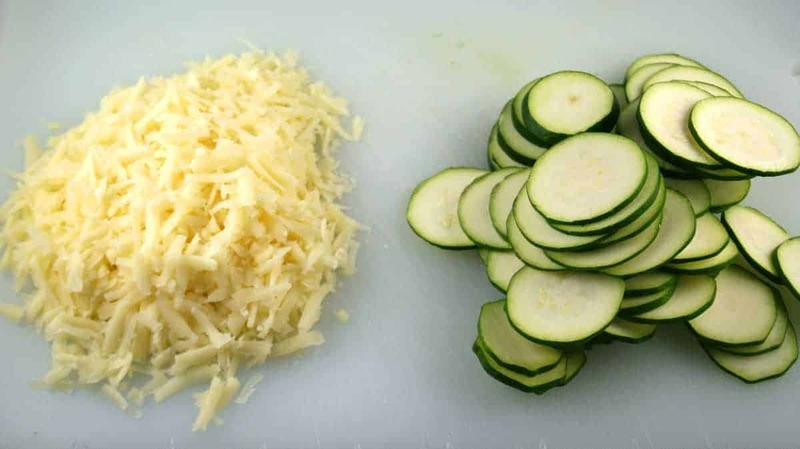 You’ll need 4 cups of sliced zucchini, 1 cup chopped onions and 2 cups shredded cheese. In 12-inch skillet, melt butter over medium-high heat. 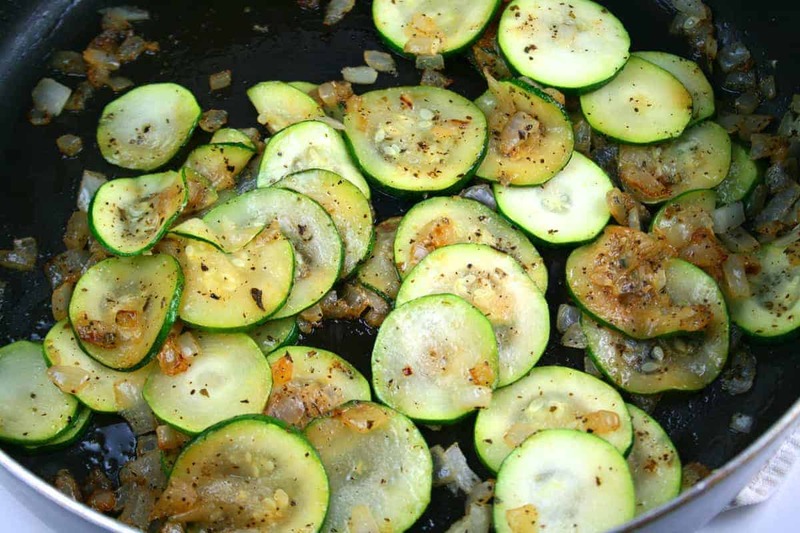 Add zucchini and onions; cook 6 to 8 minutes, stirring occasionally, until tender. Stir in parsley flakes, salt, pepper, garlic powder, basil and oregano. In large bowl, mix eggs and cheese. Add cooked vegetable mixture; stir gently to mix. Separate dough into 8 triangles. 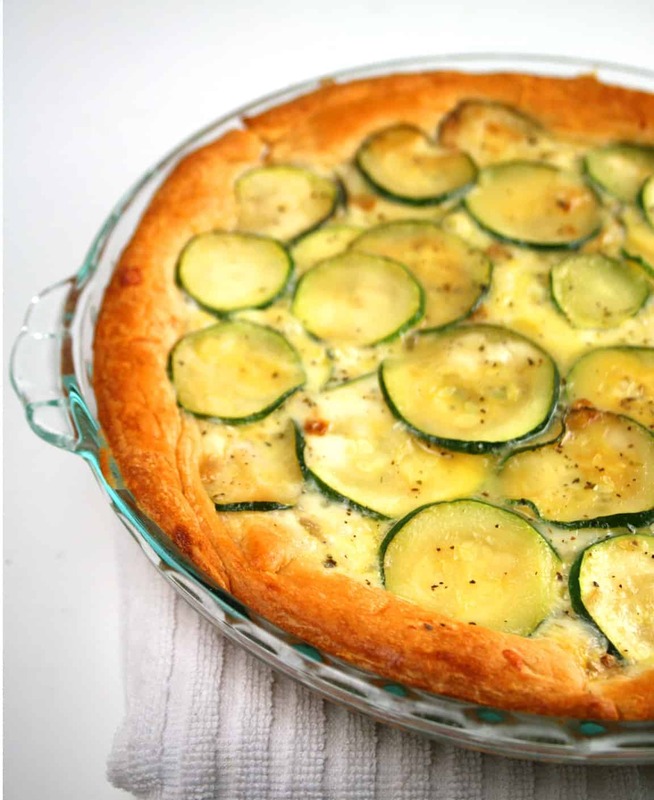 Place in ungreased 10-inch glass pie plate, 12×8-inch (2-quart) glass baking dish or 11-inch quiche pan; press over bottom and up sides to form crust. Firmly press perforations to seal. Spread crust with mustard. 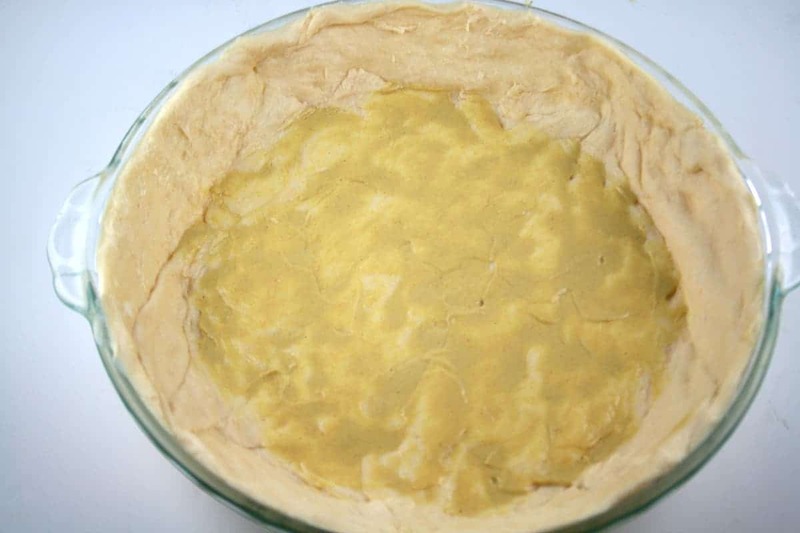 Pour egg mixture evenly into crust-lined pie plate.